Thousands of devotees each year on either sides of the Indo-Pak International Border participate in the separate fairs at the Hindu shrine of Baba Dalip Singh Manhas, popularly known as “Baba Chamliyal” about 42 kms from Jammu, in Ramgarh sector of district Samba. 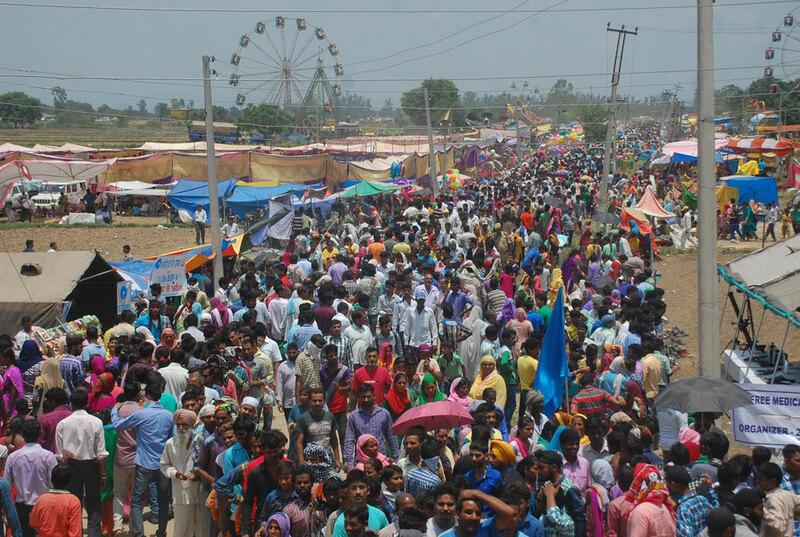 A “sea of humanity” with the hope of peace along borders through the Indo-Pak border for the annual “Chamliyal Mela” and collect the holy “Sharbat” (sweet water) and ‘Shakkar’ (soil) from the dargah of the famous saint. The annual mela at Baba Chamliyal Shrine was held with great fervor as thousands of devotees from across the state and outside thronged the centuries old shrine of Baba Chamlayal near International Border in Ramgarh of District Samba in Jammu and Kashmir to seek blessings and cure for physical and spiritual ailments.